No, it’s not reading, writing and arithmetic. And it’s not reuse, reduce recycle either. 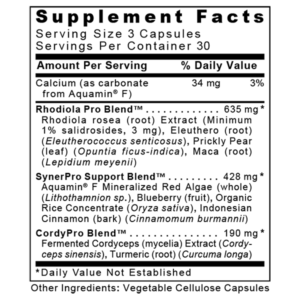 The 3 Rs we’re talking about are found in a rejuvenating Rhodiola blend – Rhapontium, Rhodiola Rosea and Rhodiola Crenulata. Together they can promote oxygen utilization, mental sharpness, physical endurance and improved fat metabolism. It is believed that adaptogens, like those found in this product, can decrease your body’s sensitivity to stressors. 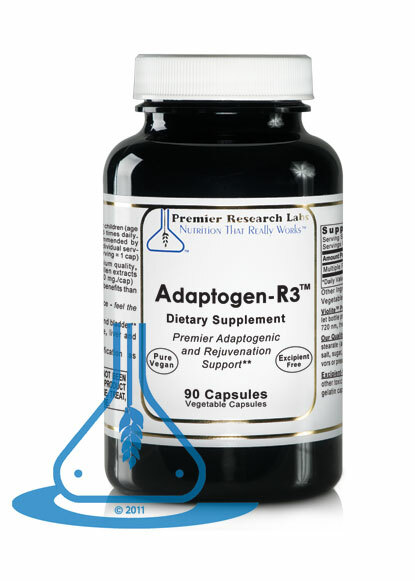 The synergy of the adaptogenic herbs formulated for Adaptogen R3 (formerly Adaptogen Complex) may help you achieve a healthy weight, get back the energy you need, and promote overall wellness. Take 3 capsules at breakfast or before 2 pm.